A short story for The Writer's Cramp Contest. The purpose of this newsletter is to share my thoughts, ideas, and experience with the world of literature. 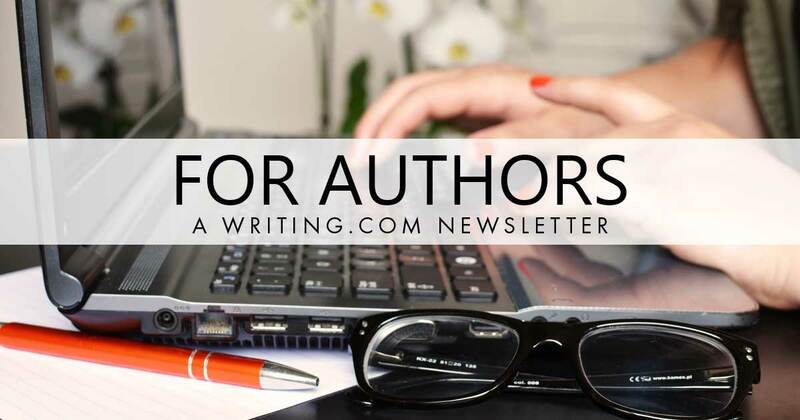 There is so much that you can do as an author outside of Writing.Com, whether that is networking with other authors or publishers, promoting your own writing with a blog or Twitter account, or seek out feedback from more specialized groups of writers. I'm going to break down a few of the tools here that you can use to do all of that and some of the best methods to go about getting out there. Twitter - There are so many authors, publishers, and agents on Twitter that you can get into the community easily by sharing tweets and interacting with these individuals. Discord - There is a Discord channel that was created by members from Writing.Com and has a number of areas to be able to talk about all kinds of topics. This is a great place to network with your fellow writers and ask for feedback from them. Local Groups/Events - If you are looking for local events, do a quick Google search and you may come up with something that you didn't know existed. You can also go to Facebook if you have it and look at their events, as many groups will post there as well and you can filter to your area. Twitter - This is the default go-to for promoting your own work. You can share your works from Writing.Com or from any number of other sources. If you are a using a WordPress blog, it's easy to cross-share your works and get feedback. Some of the tools that Twitter has in the form of polls can be helpful if you have enough of a network that will give feedback on generic questions. LinkedIn - You would think that LinkedIn would be more for networking and while that it is its main purpose, it can also be used to promote your work. This is a good platform because it is built more for professionals and if you have those individuals in your network you are able to promote yourself in more places. Feedback is harder to get outside of Writing.Com because there are not always writers who are willing to review your work, but it can be done if you find the right resources. Wordpress Blog - If you create a WordPress blog and post snippets of writing, you could use your network to ask for feedback. Discord - There are channels for writing and promoting your work to be able to talk in real-time with other writers for feedback on your current (or past) projects. Reddit - Reddit surprisingly has a large number of writing channels that can be used to find feedback on your work or general writing help. For instance, there is r/writing , r/destructivereaders (for harsh criticism) , and r/selfpublish just to name a few. A group for those dedicated to writing and reviewing speculative fiction. This first one is from a very long time ago (2015), when I wrote my last For Authors newsletter ("For Authors Newsletter (August 12, 2015)" ) but I wanted to highlight it here today. My question then was: Do you use constructive criticism in your life? How do you incorporate it into reviews or your writing? From Elfin Dragon - poetry fiend : Constructive criticism is important in one's life. If you take it correctly it molds you into a better person. I think the best example for this is the show "So You Think You Can Dance". The judges are always giving advise to the dancers both during the searches and the show itself. And they all take that advise and use it to make themselves better. That is what we have to do as writers. When we receive a review which we have criticism in we need to look at it carefully to see what it's really telling us. What aspects in our writing do we need to improve? And when we write reviews we need to be thoughtful of others and with our criticism. Life is nothing if we don't learn how to help others improve. I'd like to leave you with a few questions that would be interesting to hear your thoughts on and what techniques you use for each of these three areas that others may benefit from hearing. 1. What platforms or sites do you use to network yourself? 2. Do you have any techniques for promoting your own work? 3. How do you like to try and get feedback? Generated in 0.58 seconds at 12:40am on Apr 24, 2019 via server WWW2.